Hostage Calm have announced a run of headline dates this April with support from Turnover and The World Is A Beautiful Place And I Am No Longer Afraid To Die. The tour will include a stop at Today’s Mixtape Festival in Long Island. 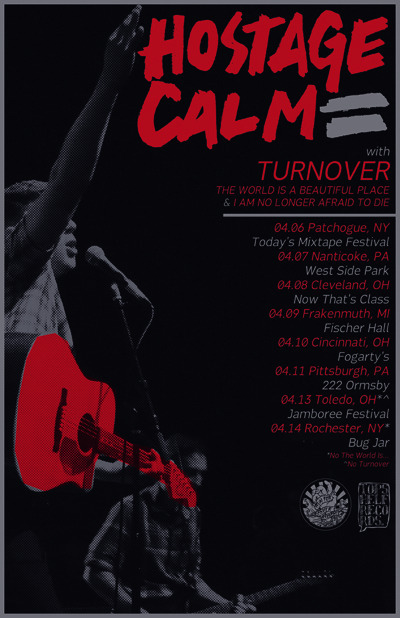 Hostage Calm will also appear at the Jamboree Festival in Toledo, OH alongside Man Overboard, The Story So Far and more.